The 2013/14 season was a resounding success for Southampton as Mauricio Pochettino guided the Saints to eighth place in the Premier League, the club’s highest ever finish. The club’s ambition was there for all to see in pre-season, as influential chairman Nicola Cortese conspired with Pochettino to break the Saints’ transfer record not once but twice in order to secure the signings of Victor Wanyama (£12.5m) and Dani Osvaldo (£15m), in addition to Dejan Lovren (£8.5m). Even more notable , in light of this window’s events, was the mere £1.75m recouped in player sales. The real success story at St Mary’s though was the speed at which the players already at the club adapted to and thrived upon Pochettino’s methods. English quartet Adam Lallana, Rickie Lambert, Luke Shaw, and Jay Rodriguez earned their first England caps in a campaign where the Saints sat as high as third in late November, aided by an impressive early season win at Anfield. Indeed, they never fell out of the top half of the table from that point onwards and even threatened to finish ahead of Manchester United for much of the year. In a word? Everything. Tottenham poached Pochettino, Liverpool raided St Mary’s and made away with Lallana, Lovren, and Lambert, Man United snatched Shaw, and Calum Chambers emulated Theo Walcott and Alex Oxlade-Chamberlain by making the switch to Arsenal. And if that wasn’t enough, Morgan Schneiderlin has publicly expressed his disgust at being denied a move to Pochettino’s Spurs while no one would be surprised if Jay Rodriguez too ended up at White Hart Lane or at Anfield. In fairness to the Southampton board they weren’t taken for mugs and negotiated some stellar fees for their dearly departed. The problem for Saints fans is that thus far only £18.9m of it has been reinvested in the playing squad. Some of it no doubt has gone towards the wages of new manager Ronald Koeman. The legendary Dutchman has managed both Ajax and PSV to Eredivisie glory and claimed the Copa del Rey in a brief stint with Valencia. His most recent gig was with Feyenoord, giving him the honour of sitting in the hot seat of the Netherland’s three biggest clubs. With him, Koeman has brought prolific striker Graziano Pelle (profiled here on Back Page Football) from Feyenoord for £10.9m along with former FC Twente attacking midfielder Dusan Tadic for £8m. Algerian international Saphir Taider comes on-loan from Inter Milan while St Mary’s will serve as Ryan Bertrand’s latest home away from home for the season. Whoever’s left. Haw haw. No, seriously. Jay Rodriguez is Southampton’s last gunslinger after the sales of Lambert and Lallana put an end to the Saints’ three-pronged English attack. Between them, Liverpool’s new England internationals scored 24 goals and picked up 17 assists in all competitions last season. Pelle and Tadic will be afforded time to settle in should they not hit the ground running, which likely means that the brunt of the burden will fall on Rodriguez’s shoulders in Southampton’s early season quest for goals. Let’s not forget that Rodriguez did outscore both Lambert and Lallana last season and had the most goals (15) of any Englishman in the Premier League after Daniel Sturridge. It’s imperative for Southampton’s survival hopes that Ronald Koeman is allowed to work with the 25-year-old striker. 19-year-old James Ward-Prowse has enjoyed an exciting summer. The young midfielder represented England at the Toulon Tournament, an under 20s international competition. His stunning free-kick against Brazil was declared goal of the tournament and Ward-Prowse himself was named as the competition’s third best player. 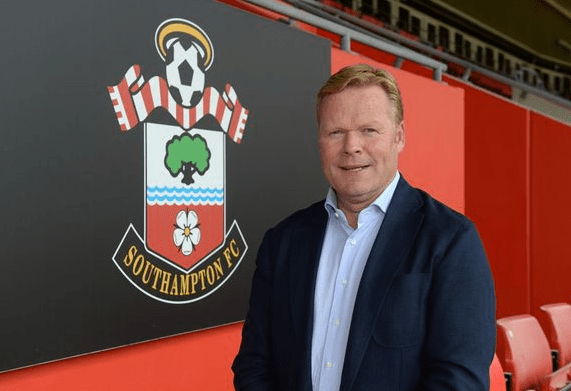 He has featured regularly in Southampton’s pre-season as Koeman’s side have won every game to date and dispatched a superb 25-yard rocket in a 3-1 win against Brighton on July 31st. With the current gaps in Koeman’s squad the opportunity is there for Ward-Prowse to cement a place in the first eleven if he can take his summer form into the new season. Devastating whilst playing amongst his age group, if Ward-Prowse can build on his Premier League experience from last season and add goals to his games we could be talking about the next great product of Southampton’s fabled academy. The great exodus has resulted in many tipping the Saints for the drop. Certainly they can ill-afford to offload any of their remaining stars and life in the Premier League will be a good deal more uncomfortable without further investment. Schneiderlin and Wanyama should still be able to boss the game against lesser midfields but the defence is a huge worry without Lovren there to command. If Koeman can extract even half of what he got from Pelle at Feyenoord then Lambert will be a mere memory. A top-half finish is likely to be beyond them but the Saints should still have enough about them to avoid a relegation battle.